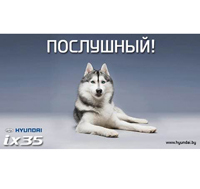 We are very proud to present our Bruno as a poster child for Hyundai. 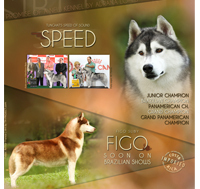 This beautiful example of our creative Siberian Husky, RIO DE JANEIRO TUNGHATS, who now resides in Russia, was chosen to represent the iX35 car recently launched in that country. 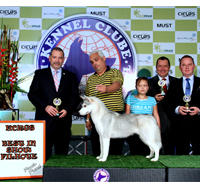 Tunghat's Gaia, daughter of Layla and Nate, wins BIS Puppy in her debut. Thanks Vincent for caring about our girl! 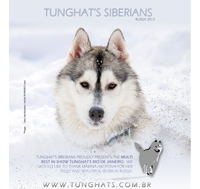 Keep watching the results of Tunghat's in Russia.